Analiza los diferentes paradigmas de cómo la iglesia ha abordado y entendido la misión. This is the most complete and most used book for study of the mission of the church. There is no other work which analyzes with such clarity the different paradigms concerning the manner that the church has understood and undertaken its mission. 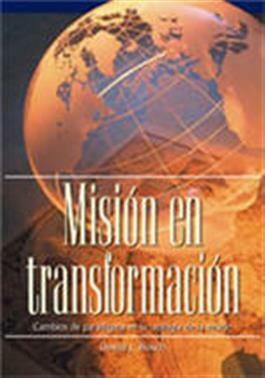 Moreover, the author proposes a Biblical paradigm which gives the proper importance to both the transcendental and immanent aspects of mission.